It’s our own Starr King Superbloom! The California Native Wildflowers, that we spread on our work day in the fall are starting to bloom! 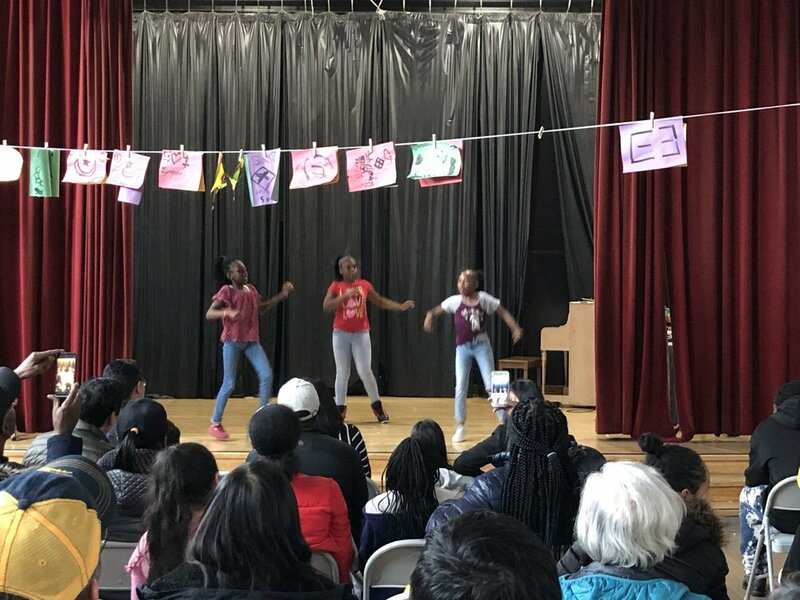 Starr King kicked off spring break with a celebration of talent! Singers, dancers, rock stars, designers, and comedians all strutted their stuff. IT WAS AMAZING!!! Click through for pictures and videos. Click here for longer clips of the Queens and the Fallout Five. Check out Ms. Martin and Mr. Fitzsimons kicking the jianzi! Wishing everyone an auspicious lunar new year. 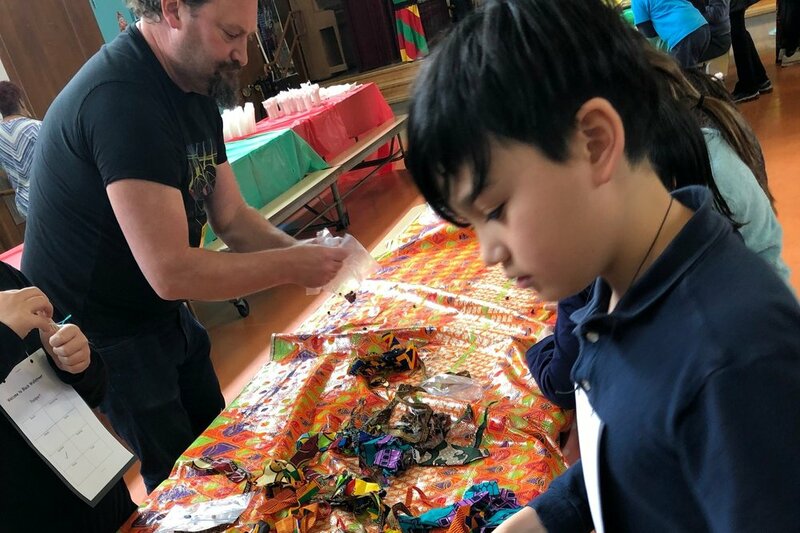 Maker Fest was sold out and it was a blast! I would like to thank all the parents who volunteered to help out and showcase our school. Big thank you to Aaron Valade who saved the day.... and led the volcano experiment at the Starr King ES table! And thank you to PreFUND for hosting the event. Starr King’s Black Wallstreet event featured painting, jewelry making, hair braiding, music, African dress and food. Thank you to AAPAC for hosting the event! Video by Monica J. and pictures by Monica J. and Martha Q. This event was named in honor of the Blackwallstreet market in Greenwood, a vibrant black business community in Tulsa, OK, which was tragically destroyed in the 1921 race riots. Read more information about the historic Black Wallstreet here. Happy Year of the Pig! Our kids did wonderfully at the Chinatown Chinese New Year parade on Saturday 2/23, and made it onto the TV broadcast on Channel 2. More pictures here — and you can check out videos below from either the KTVU broadcast, or the view from the Starr King party corner on Grant and Kearny. 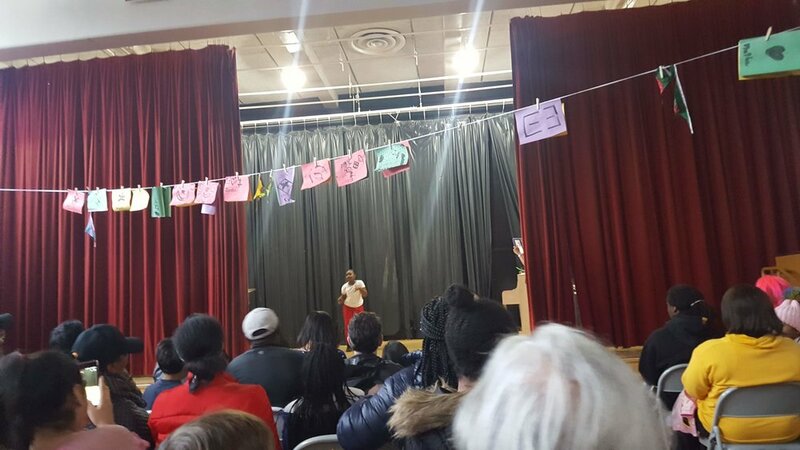 We celebrated Black History month at Starr King at our Black Heritage Event, where each grade did a presentation celebrating African and African-American culture. If someone sends me a picture of what I understand is a beautiful mural the 5th graders did about the history of hip-hop, I will post it! In the meantime, Ms. Erickson has decorated her door for the month: wow! A big thank you to Starr King for your generous support of the PTA’s Fall ASK campaign! We smashed through our $225,000 goal and ended up at $256,000 — which is amazing. We’ll use the money to support our teachers, fund our science paraprofessional, support outdoor education, and much more. We celebrated on Friday the 25th with shaving cream pies in the morning and popsicles in the afternoon! We recognized there are many negative images of Black people. The purpose of the breakfast was to give Black students the opportunity to counter those perceptions with positive images. One of the ways we do this is through positive affirmations. 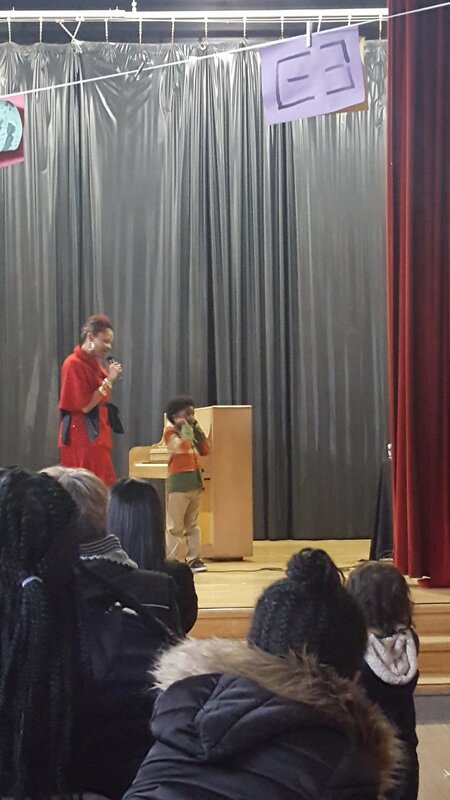 After reciting the Starr King Affirmation, students wrote their own and many chose to recite them for the audience. 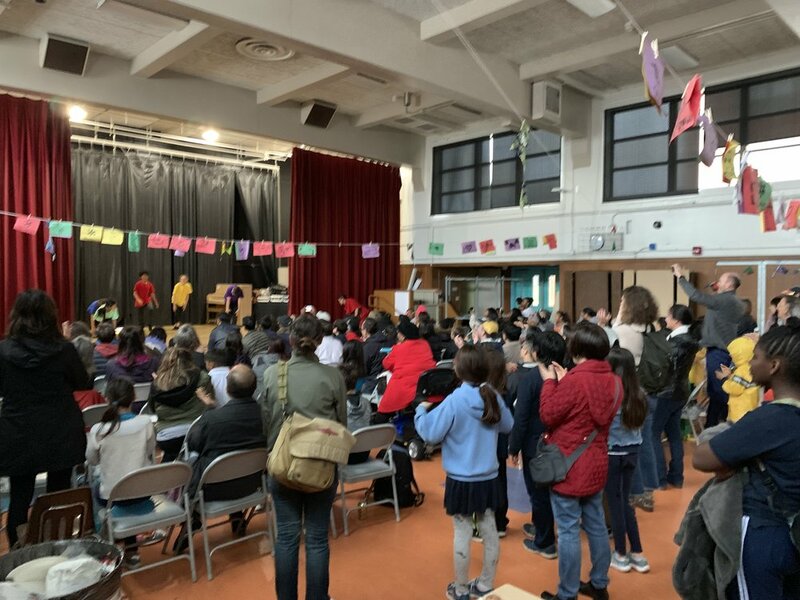 Once student returned to class, Ms. Martin and Mr. Fitzsimons heard from parents about what they wanted for their students while they attended Starr King. Thank you to Hands On Bay Area and PG&E for the volunteers who helped out with the mulching and planting at SKES! THANK YOU to the dedicated teachers and staff who work so tirelessly to make our school so great. This Starr King hat is just a small token of all the many ways we appreciate everything you do! Another wonderful green work day. Thank you SKES volunteers. 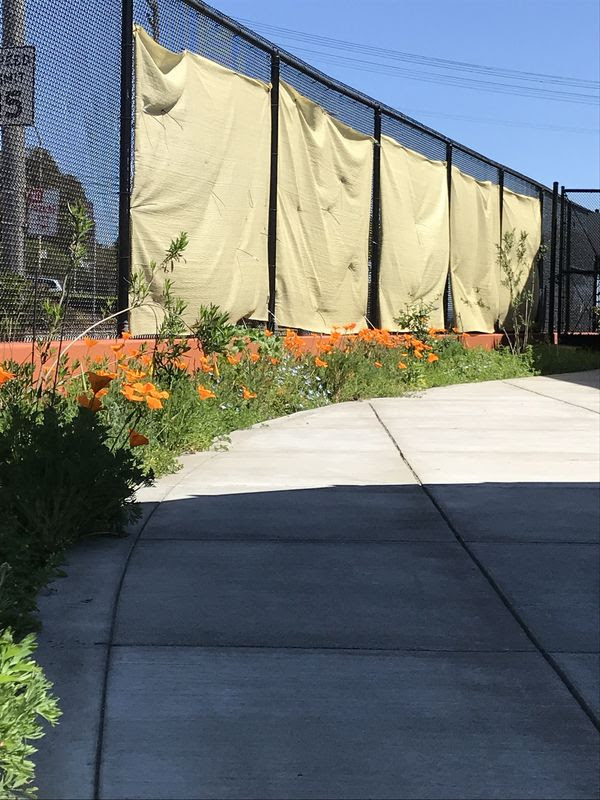 We spread California Native Wildflower seeds along the North, East and West perimeter of the SKES site. 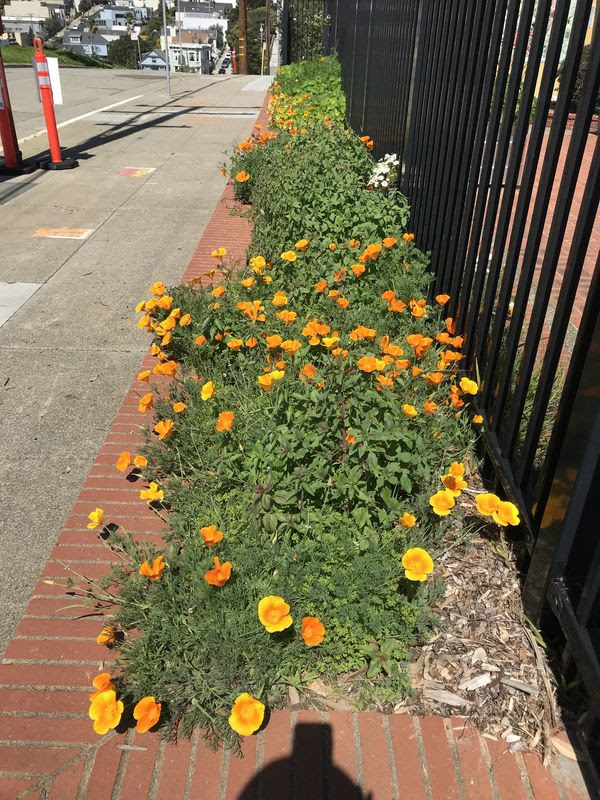 We spread California Poppies along the Wisconsin Street/ Starr King Open Space sidewalk strip. We added squatter and shorter pine wood rounds to the yard and Wisconsin Street and more mulch. We also did a thorough trash clean up. Thank you all!!! So much fun at our annual SKate Day event at the Church of 8 Wheels! 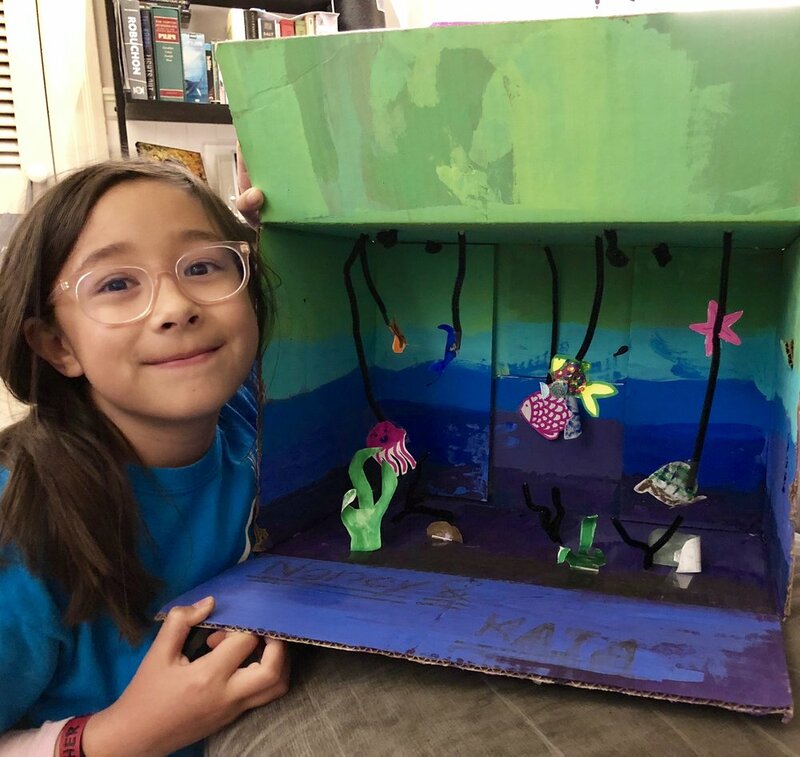 It’s the very best kind of pop-up store — one run by our amazing 5th grade crew! PTA members picked up some great seasonal gifts. All proceeds will be used to fund the 5th grade spring science trip. Happy holidays to everyone in the Starr King community. Thanks to the Starr King ASP, who put on another successful STEAM night event this Wednesday. The slime-making table was a huge hit! We hope you had a fun time at Movie Night on Friday! Thanks to the Movie Night crew for setting it up, and our 5th graders for running the refreshments table! Erosion control - restoration project complete on Wisconsin, dead bamboo removed, tippy logs removed, new sturdier wood rounds installed, and garden benches stained! Thanks to the 20 adult volunteers and multiple children who showed up to improve our site! !